We are one week into the new year and I am just now getting around to thinking about my goals for this year. This past year brought a lot of adventure and some frustrations. I struggled with decisions regarding my health, I lived through a wild midnight storm which ravaged my house (in the words of my grandson, “Nana, your house is broke”). Because of this we worked with insurances and contractors to repair the damage, and actually came out ahead with a lot of upgrades. A few family problems, the health issues, and the culmination of that right before the Christmas/New Year holidays. And, of course, Christmas and New Year found us traveling to visit our children and our parents. Needless to say, my writing has suffered. Oh, that’s a vast understatement. My writing has nearly completely stopped. And that, my dear Word Smith Six followers, is the source of tons of frustration. So. We are one week into the new year. The time has come to pack all that away in a box and hide it under the bed. The time has come to look ahead and find the inspiration and the voices begging to be converted to words. And so, beloved followers, I will make this promise. I will write a new original blog each week. 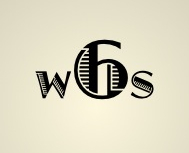 I will not allow a Freaky Friday to go by without new words appearing on this blog site. And the other side of my promise is to write at least 1000 words a day. They might not necessarily be intelligible words, but they will be my words. And according to the experts, this should strike that flame again. Comment below and tell me about your writing goals for the 2016 year. I am very interested to hear about them. I love the holidays. The hustle and bustle, social events, end-of-the-school-term concerts make me happy. But there is one thing I hate…food, glorious food. I’m not officially on a diet, but I am trying to watch what and how much I eat. I definitely do not want to gain back the ten pounds I lost last fall. So what do you do when everywhere you look there is food? It’s so unfair. Your co-workers bring goodies from their kitchens and let you know to help yourself. If you don’t partake, feelings are hurt. However, if I eat, my backside suffers. Is there no middle ground? This is a sampling of the holiday feasting. It started before Thanksgiving with a food day at work. I don’t remember the menu, but I do recall the table being overloaded and the team eating from the start of the day to the end of the shift. Then there was family Thanksgiving at the church building. (The kitchen is bigger than at any of our homes and we can all sit together.) Let’s see, turkey, lots of turkey, mashed potatoes, green bean casserole, dressing, salad, pickles, olives, dinner rolls, candied yams, desserts; more food than any of us could or should eat. We all took leftovers home. December rolled around and the parties started. My sister’s jewelry party provided chips, dips, crackers and cream cheese spread, apple slices, grapes, pineapple chunks. A shopping trip ended in dinner out with two of my nephews. Shrimp was a great change of pace. The congregation’s holiday adult party was catered. I could not eat everything on my plate. Nor could I sample all the home cooked brunch fare the morning after the party. And we brown-bagged dinner the night we filled the holiday baskets for our shut-ins. Family Christmas dinner was early so that we could all be together before kids left to spend the holiday with their dads. The scent of Mexican food filled the church fellowship hall as we scarffed enchiladas, tamales, queso and chips, fajitas, and desserts. The day before my vacation began we celebrated our short association with co-workers from our Manila office. The tables in the conference room were loaded with Mexican food. Everything from queso to taco soup tempted the stomach. My sisters and I celebrated December birthdays with Cheryl’s famous chicken salad sandwiches, chips, and ice cream. Then I joined my in-laws for filet minion on Christmas Eve. Janet made stew on Christmas day, and New Year’s Eve, we waited for the end of 2014 with snacks and desserts. New Year’s day, I spent quietly eating grilled chicken and black-eyed peas. Man, was I glad to see the holidays end. You’d think the New Year would bring an end to the obsession with food. Not so my friends. The food train continues to roll with homemade goodies making their way to the food cube at work. And on Friday, there is another food day. In the musical Oliver, Oliver and his friends sang of Food, Glorious Food because he and the other orphans were starving. I complain because there’s too much of a good thing. The point is anything you dream can be a story. If you’re brand new to writing, you may have self-doubt. You might question sentence structure, your novel’s length, character motivation, the list goes on and on. If you’re fairly new to writing, you might have dealt with these self doubt issues already, but might be shocked at how much your writing changes over a week, months, even years. Whatever stage you’re at in this game, I want to emphasize the importance of writing every idea that pops into your head. As I blogged about last week, we must become fearless. The hardest part is to stop trying to make sense of the ideas that come to you at the most inopportune times. I say this because I’ve let so many slip away. However, one idea that I didn’t let slip away became a published story this week. In 2006, I remember having an idea for a Christmas story. No clue as to why it came to me or where I was, but it was about a cowboy spending a lonely holiday and being content in his life. Last year, I watched an old cowboy greet the morning sun on his horse just before he rode out into to the pasture to gather a herd. The look on his face was pure joy and contentment. The horse seemed excited too. For both of them a day’s work was just ahead, doing what they loved to do. That old cowboy reminded me of that holiday story. I found it on my computer, polished it up, and wondered where I could send it. This year, someone forwarded a story call out to me. My story fit the submission criteria, I submitted it, and had a “Yes” before days end. 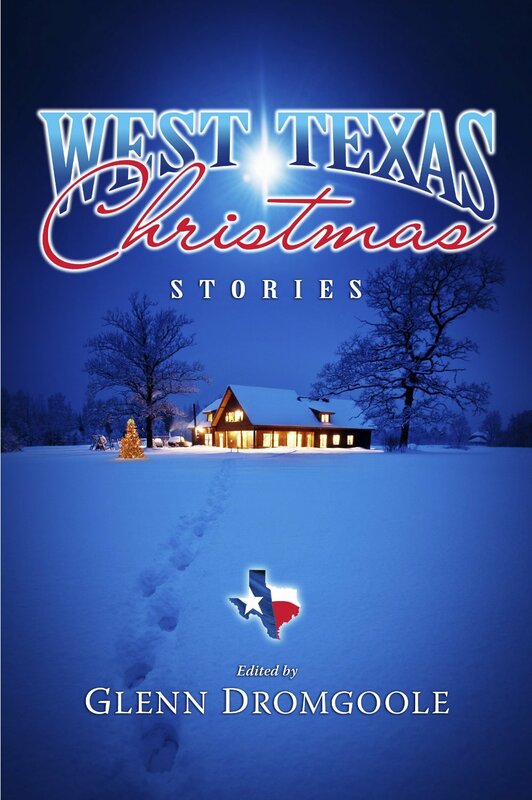 Six years after I had made a note, the spark became a published story in West Texas Christmas Stories with Abilene Christian University Press. I hadn’t even realized I’d been speaking out loud, but the entire day held fascinating events, animals, sights and sounds wherever I turned. I couldn’t contain my excitement at seeing the world in a different light; through the eyes of a writer. Because everyone seemed annoyed, I didn’t take a note one. I was too embarrassed. I can’t help but wonder what might have been the fate of all of those ideas I never wrote down. Now, I carry a journal or notebook everywhere and even snap a zillion pics with my iPhone. I’ll let you know the results in another six years or so. How crazy is this business? Bright sparkly lights. Cold wind. The taste of peppermint. Festive music. The smell of burning wax from candles. The silvery icicles hung from the tree in our living room window. And magic in the air. These are my memories of Christmas as a child. My mother made new ornaments every year from Styrofoam balls and sequins. My dad wrapped presents and made his own bows. We three kids tried a little harder to get along so Santa wouldn’t bring us coal. A very strong memory I have is of my parents collecting toys and fun things for a family we knew who were having a hard time. Mom and Dad took us shopping to help find little trinkets for the children of the family since we played together. Our job was to pick out dolls and hair brushes and pony tail holders, wrap them in the colorful paper, then be quiet and pretend we didn’t know anything about it. When my friend, the oldest daughter of the family, called to tell me about the sack of presents left on their porch Christmas Eve night, I had to act amazed to hear that such a thing happened, all the while giggling inside myself. As an adult, wife, mother, grandmother, we have tried to make our own traditions. The endless baking. Sitting on the floor with gifts, paper, tape and ink pens spread out while I wrap presents. Gathering the same addresses every year for the Christmas cards. I think in the past couple of years a new tradition has started. This one has nothing to do with the rest of the family, but has everything to do with feelings. The last few years I have woken up on a cold morning humming a song that inspires a new story. I sit at the computer as the sun slowly rises over the horizon and the magic of the season makes a new story appear on the “paper.” The best thing to do when that happens is to go with it. Let the memories, feelings and emotions of the holiday flow and you’ll probably find your best story. I love all kinds of music and this time of year is rich with tunes. There are hymns to God as well as love to fellow man. There are songs about the magic of the season and joy of children learning about Christmas. And there are always love songs because this time of seems to inspire romance. For the past few mornings I have woken up with a certain song in my head that I’ve heard on the Christmas radio station. It’s not necessarily a happy song, and that’s why it continues to play through my brain. I know there’s a story in that song. When I hear the words, its’ easy to slide into that zone and visualize the confusion and torment the singer feels. I hear, see, and feel the whole thing play out. I can even smell the scents in the room where the holiday party is taking place. The character in my head picks up a nibble from a tray and I taste the morsel as he/she pops it into his/her mouth. My job now is to write down what my character tells me through the song. I need to let go of the reins and let the zone overtake me completely to get my own words on paper. Listen to one of your favorite Christmas songs and let your senses take over. Let the magic of the season write the story for you. Our daughter called looking for the recipe for Cakies. She needed to take something to work for Halloween, and thought this treasured family favorite would be the perfect addition for the office celebration. She knew the basic ingredients were devil’s food cake mix, oats, brown sugar and oil, but couldn’t remember the exact ingredients and neither could I. The recipe for Cakies was given to me years ago by Maggie Henry, a Girl Scout leader. Once I had perfected it with trial and error, I took it to every PTA, Girl Scout, choir and fundraiser event from the get go. I also made it for Easter, Christmas, and especially Halloween. We would buy cake mixes on sale and freeze them until the next event. And we always kept everything else on hand. If the girls came home saying they needed to take something to share I knew I couldn’t go wrong with something simple I could fix at a moment’s notice. That evening I pulled out everything I had collected over the years trying to find what I was looking for. What a trip down memory lane! This brought up the most precious thoughts of our children, and every function we had attended together as a family. I had so much fun going through the collected memories right at my fingertips. Most of the favored ones were spattered, and stained with various and sundry long forgotten splatters. When I finally found it, I e-mailed the recipe to my daughter, and thought I had added every piece. That evening she called and told me I had neglected to include the amount of oats which could alter the final result. After the discussion, I admitted I had made it wrong all these years or at the very least, hadn’t followed it to the letter. Isn’t that just like writers? We take a simple basic recipe and change the story to fit our needs. No matter what genre we enjoy, we can adjust, knowing that it won’t ruin the final product, but only enhance our tale. Our daughter called today and told me that the Cakies went over big, and several had asked for the recipe. I had forgotten over the years how much fun I had in making this, but also in trying new things. I was never very adventuresome, and knew no matter how hard I tried it would never look like the perfect photo shoot in the magazine. No matter, I always enjoyed a good recipe. So on the way home I stopped at the United Grocery store and picked up a copy of the November “Accent West”. I knew I would find something I could cook. And there I found it in Becky McKinley’s article about heirloom and family recipes “Cookies, Candies and Pies!” With just a quick glance I realized I had all the ingredients at home to make the Buffalo Chip Cookies. I wonder what simple changes I can try to make it my own. Can use any kind of cake mix and any frosting. Spice cake with cream cheese frosting is yummy.